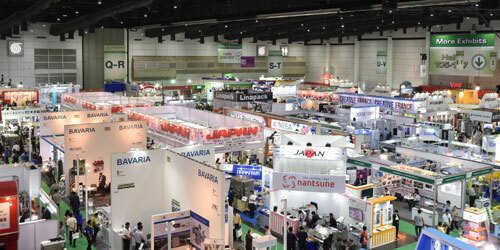 ProPak Asia truly is the “Must-Attend” industry event in Asia for Asia, as quality and variety of products increase and expand, and productivity of operations and manufacturing standards are driven higher by consumer demands and new automation and technological advances, which are presented onsite at the show. ProPak Asia 2016 presented 1,976 exhibitors from 48 countries, 17 international pavilions from China, France, Germany, Italy, Japan, Korea, Singapore, Spain, Taiwan, UK, USA and new pavilions from Australia and Denmark. High quality and quantity visitors were recorded across all 4 shows days reaching 40,893 visitors with Asian delegations attending from across the region including Bangladesh, Cambodia, China, India, Indonesia, Laos, Malaysia, Myanmar, Philippines, Singapore, Vietnam and from a total of 68 countries. ProPak Asia 2016 was opened by H.E. Dr . Atchaka Sibunruang, Minister of Industry who emphasised the significant importance of agri-business in Thailand and the region and the governments support for large industrial and SME agri-business development. Many conferences, seminars and presentations took place at ProPak Asia 2016 receiving overwhelming attendance and response from delegates. Exciting discussions, trend updates, and new research and technology were presented across; The Food Innovation Asia Conference 2016, Food Innovation Contest 2016, Asia Drink Conference 2016, PharmaTech Seminar 2016, Thai Packaging Centre and TISTR Conference 2016, The Department of Industrial Promotion Seminar 2016, The FoSTAT-Nestle Quiz Bowl, Asia Food Beverage Thailand Conference, Food Focus Seminar, The Thai Star and Asia Star Packaging Awards and many more events from world-renowned and industry leading companies. All adding valuable learning and networking opportunities for the industry. column free hall. ProPak Asia 2017 will focus on 8 industry zones including; Processing Technology, Packaging Technology, DrinkTechAsia, PharmaTechAsia, Lab&TestAsia, Packaging Materials, Coding,Marking&Labelling and Coldchain,Logistics&Warehousing. ProPak Asia2017, the 25th edition will return 14 to 17 June 2017 at BITEC, Halls 98 to 104. Even with the new halls space at ProPak Asia 2017 is in very high demand and already limited as many exhibitors have already confirmed to return and many new enquiries were received onsite during the show. Please contact the organisers without delay for more information or to book your location.